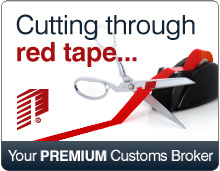 Importing into the USA | Customs Brokerage | Pacific Customs Brokers Inc.
Pacific Customs Brokers is the PREMIUM service provider for both U.S. and Canadian Customs Brokerage Services in the International Trade Industry. Pacific Customs Brokers is ALWAYS OPEN 24 hours per day, 7 days per week, to obtain clearances at any Commercial Customs ports of entry into the United States or Canada. Pacific's highly trained 24/7 LIVE Reception Team will promptly answer and direct urgent and non-urgent calls to the appropriate operational department. You can be assured your calls is important to us and will be answered. We believe that it is essential to the success of an importer to have knowledge of the necessary processes and rules involved in international trade. To this end, Pacific Customs Brokers conducts a number of trade seminars and workshops throughout the year. We can customize any or all of these seminars to suit the needs of our clients. If you are new to importing, our customs specialists will assist you with the necessary requirements for importing into the USA. There are a number of forms and declarations required. The regulations for product to be imported for a commercial sale and those being imported for personal use are considered the same in the eyes of CBP. Product may be imported by the seller or the purchaser, it is not necessary to have a license to import into the United States. All imported motor vehicles must comply and meet or exceed the Department of Transportation (DOT) requirements. If you know that your vehicle complies with the regulations, we can assist you with the importation of the vehicle. If you are unsure whether your vehicle complies, we can assist you in making this determination. Pacific Customs Brokers conducts a number of trade Trade Compliance Seminars and workshops throughout the year, including Basics of Customs Compliance, NAFTA, HS Tariff & Classification and others. These seminars are facilitated by Licensed Customs Brokers with many years of experience in the Customs Brokerage Industry. In addition to our regular scheduled seminars, we can customize a seminar or workshop designed to suit a specific industry need.